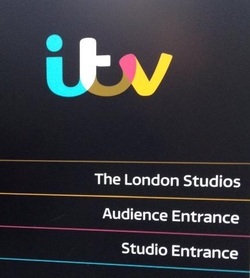 Visiting the ITV studios – The Jonathan Ross Show! ITV studios – Jonathan Ross Show! A couple of weeks ago we were offered the exciting opportunity to watch the filming of The Jonathan Ross Show at the Waterloo studios! Special guests on The Jonathan Ross Show included X Factor judges Louis Walsh, Nicole Sherzinger and Gary Barlow. Other guests included the legendary Naomi Campbell, opera singer Alfie Boe and comedian Stephen Merchant. We also had a live performance from Laura Mvula. The show was really funny and interesting to watch. There were hardly any retakes and things ran smoothly for pretty much the entire time – even when Naomi was asked to walk in some pretty amazing high heels! As a member of the audience for The Jonathan Ross Show we really got to see a lot of things that are edited from the show including the banter between the celebrities between filming and the mistakes made that are edited or reshot! The tickets for The Jonathan Ross Show were booked through SRO Audiences but they were not guaranteed seats – in fact we were the last 4 people allowed entry, so if you do book always arrive early to join the large queue!